Women who participate in high intensity strength training workouts, such as boot camps, before they become pregnant can continue to exercise during their pregnancy. If you have been involved in various levels of fitness, you know how your body will react to specific exercises. As your body begins to change with the growth of the child, your trainer can help you create workouts that will allow you to remain as close to your target level of intensity as possible. 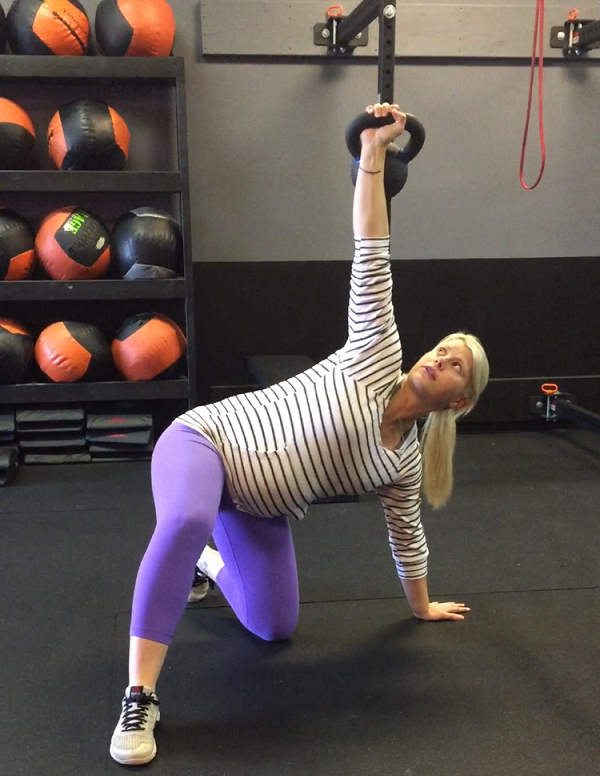 And when your trainer is 30 weeks pregnant, she can definitely help you with some modifications or tricks to keep being active while pregnant! Intense levels of activity helps to regulate the body’s blood sugar levels. When a woman is pregnant, their blood sugar levels will fluctuate as the child begins to grow. Exercising on a regular basis helps to regulate hormone levels and can actually reduce your risk of gestational diabetes and other health serious conditions that are often associated with pregnancy. Regular exercise not only strengthens bone and muscle, it also helps to regulate various systems throughout the body. It also has a direct impact on the body’s metabolism and how the body handles illnesses, infection and stress. Keep in mind that nutrition is very important too but that’s another topic. Maintaining the level of fitness you are accustomed to will not only offer additional health benefits, it will help you to return to your pre-pregnancy weight much sooner after the delivery. Gaining too much weight during pregnancy can stretch stomach muscles making it harder for you to regain your shape once the baby is born. Workout or personal training routines that were performed before the pregnancy can still be used but the level of intensity should not be increased, especially after the first trimester. Exercise keeps stomach muscles toned, flexible and in good condition, helping them to return to their pre-pregnancy shape after the birth. Maintaining your strength and muscle flexibility through high intensity, strength training workouts allows abdominal muscles to sufficiently support the weight of the growing baby and taking pressure off of your spine. This prevents cramping and unnecessary stress off of the lower back muscles that can lead to intense back labor pains during the birth. We may adjust the type of abdominal workouts you do at Edge Body (i.e. no more ab mat sit-ups! ), but that doesn’t mean that planking is out of the question. In fact, continuing to do stabilizing movements like a plank, where you don’t have to lay on your back, will keep that lower back strong enough to support that growing belly. Keeping the abdominal and back muscles strong helps to reduce the amount of time spent in labor. When you workout the main core muscle groups in the abdomen and the back, the internal muscles get exercise as well. When it comes time to deliver the baby, the muscles will be stronger, more flexible and much more resilient, allowing for a smoother, faster labor and delivery. Maintaining your workouts through the length of the entire pregnancy will also help you body heal much faster after the baby has been delivered. Although you should not workout for the first week or two after giving birth, your doctor may clear you for modest amounts of activity until everything is completely healed. This can take anywhere from three to six weeks, depending on whether or not there were any complications. While exercising is beneficial during your pregnancy, you must also remember to watch for signs of distress. If you experience intense pain, cramping or irregular spotting during or after a workout, consult your physician immediately. Inform your doctor of your workout and fitness program as soon as you become pregnant. Keeping your doctor informed of your physical level of activity will help him to have an accurate view of your overall health at all times. Also, make sure to let me or the other trainers at Edge Body Boot Camp know so we can help modify the workouts accordingly and give you the best workout advice during your pregnancy. That’s this week’s Tip from the Trainer…..the Pregnant Trainer edition!